Yes, you heard right. You can now hack a car by making necessary modifications – but to the car owned by you, not your neighbors. Last year, President Obama passed a bill called 'Unlocking Consumer Choice and Wireless Competition Act,' following which users could unlock their devices – generally those locked under a contract – to use a specific service provider. Also Read: It's Now Legal to Jailbreak Smart TV, Smartphone Or Tablet. The same year, Electronic Frontier Foundation (EFF) filed a petition with the Librarian of Congress, which has the authority to grant Digital Millennium Copyright Act (DMCA) exemptions, for allowing customers and independent mechanics to repair their vehicles on their own by making necessary modifications. Though many automakers were in opposition to this petition, as they believed by doing so the safety measures of vehicles are going to be at a higher risk. Yesterday, Library of Congress approved copyright act exemptions, allowing you to alter the software on your car for the purpose of security research, maintenance, or repair. The Electronic Frontier Foundation (EFF) filed the request for software access as part of the Section 1201 of the (DMCA). Section 1201- The "Anti-Circumvention" provisions bar circumvention of access controls and technical protection measures. Section 512- The "Safe Harbor" provisions protect service providers who meet certain conditions from monetary damages for the infringing activities of their users and other third parties on the Internet. However, previously security researchers also mentioned about the numerous security vulnerabilities that affect the major automobiles. The Hacker News reported how researchers reverse-engineered and modified the Uconnect firmware of a Jeep to remotely hijack car's network, its steering, brakes, and transmission. Now, approving this petition may give researchers way to new methods of hacking a car. An owner modifying car's software to disable the airbags and sell it afterwards. Car owner playing with the software such that, its ability to read lane lines and detect other vehicles is disabled. An owner tweaking the car software in such a way that the car's emissions increase as compared to normal driving. ...the software on your smartphone or PC cannot kill anyone, but with malicious intentions and a tampered software in your car can. Moreover, few days ago, Honda officially ordered 142k cars' return over the software issues that would lock up the front wheels in some models. 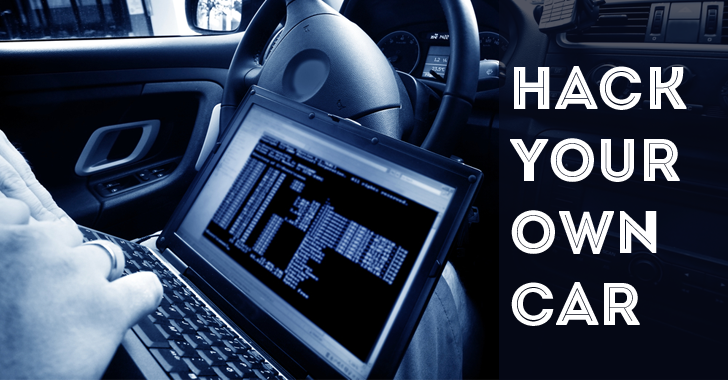 Take a peek into these previous Car Hacking stories so that you can assess more of what this exemption has to offer to you.